A rise in the use of metal detectors has boosted the amount of treasure being found. 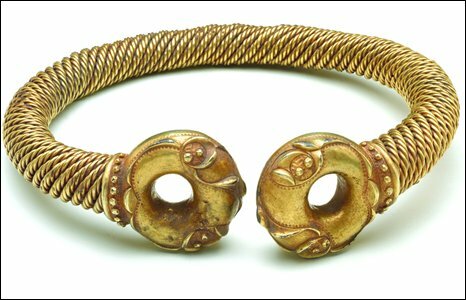 This £350,000 gold and silver Iron Age torc is the most expensive item of UK treasure unearthed recently. The British Museum bought this 13th century silver seal matrix for £2,750. 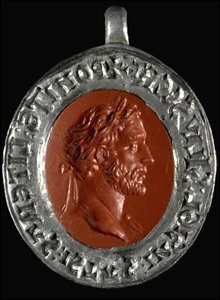 It was found in Swanley, Kent, in 2005 and is the only known surviving gem portrait of Roman Emperor Antoninus Pius (138-81). 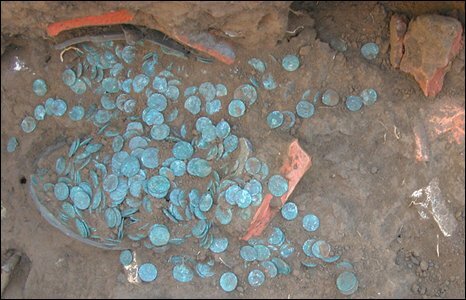 Part of a hoard of 3,600 Roman coins shown in situ in Snodland, Kent, and dating from around 347 AD. It was found by a digger driver during a survey and is being investigated by the British Museum. 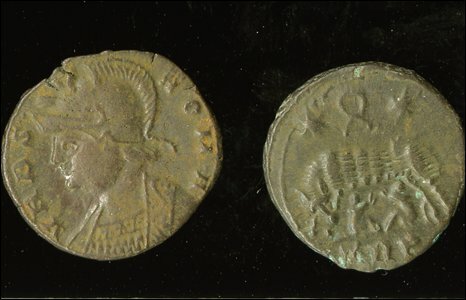 This Roman coin from the Snodland haul dates from 330-5 AD. From the House of Constantine, it celebrates the city of Rome, showing the mythological twin brothers Romulus and Remus being suckled by a wolf. 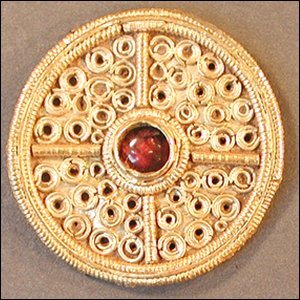 This 10th or 11th Century Anglo-Saxon roundel in gold and enamel is thought to come from Hampshire. 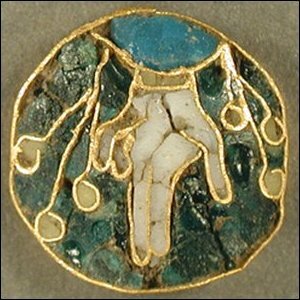 It was found by a metal detectorist and shows the hand of God descending in a gesture of blessing. Chelmsford Museum bought this 7th century Anglo-Saxon mount for £3,000. The gold and garnet jewel was found in Essex in 2006. 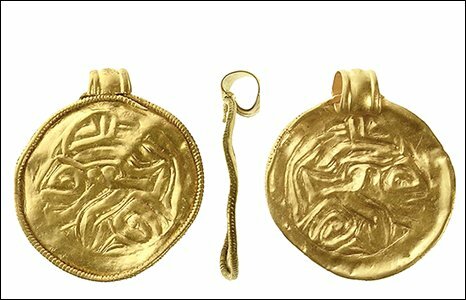 A gold bracteate or pendant found in Shalfleet Parish on the Isle of Wight. All these pictures of treasure found in the UK in 2007 were supplied by The British Museum.